In my Trenches, we tell the boys not to use "potty talk". But right here, right now, imma gonna break my own rule and chat with you about all things bathroom. Because, for one? Bathrooms are kind of a big deal in my Trenches. Especially with 3 boys. My potties get a lot of pee all over them use. And self-care is kind of important, don't you think? We should talk about potty routines. So even though talking about bathroom habits can be embarrassing, you may be missing out on a better way to get clean. That’s why Cottonelle is partnering with London-based journalist Cherry Healey to get people to talk about the way they wipe by encouraging consumers to open up about their bathroom behaviors and “makeover” their old toileting routine. 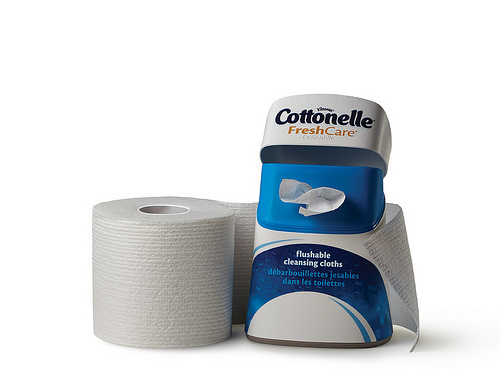 Cottonelle wants everyone to be talking about their bums and developing a better bathroom routine! Here's the scoop: Cottonelle Toilet Paper and Cottonelle Flushable Cleansing Cloths are designed to work together for a clean you can feel. Cottonelle Flushable Cleansing Cloths are now available in a sleek, newly designed, upright dispenser – making it easier for everyone to enjoy the clean and fresh feeling of the Cottonelle Care Routine. So join the conversation on Facebook and try the Cottonelle Care Routine for yourself.